You know you're addicted to Card Wars. Adventure Time's Card Wars was a surprise hit, with a mobile game that ended up amassing quite a bit of money for Cartoon Network. It's getting its own sequel now as a hallmark of how popular it actually was, and it's called Card Wars Kingdom: The Game. Set to release this summer, it'll include a special PvP mode where you can see how you stack up against other players. It's rolling out in July with a whole swath of additional Card Wars content to get hype for. Mathematical! 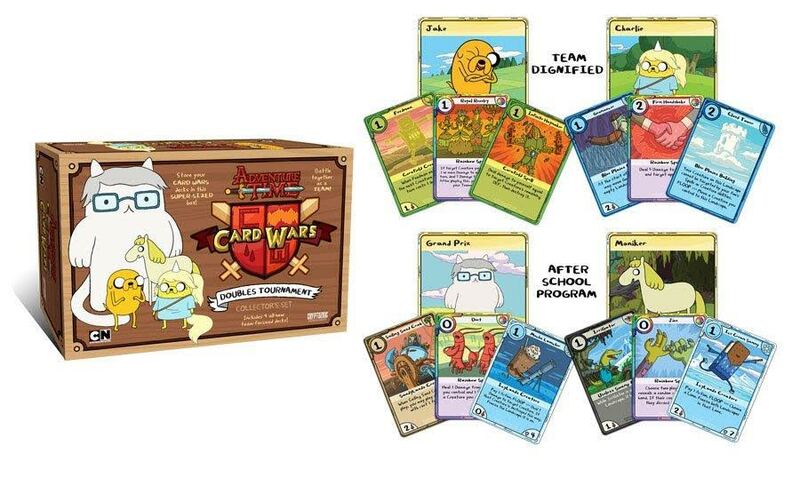 The new content will actually tie in with the special Adventure Time episode called "Daddy-Daughter Card Wars," so if you're an Adventure Time fan you might wanna pay attention since the Card Wars Doubles Tournament tabletop game that's being shown off at San Diego Comic Con next month. I'm pretty excited to check out the new Card Wars to see what all it adds to the franchise.